There is a slight risk for severe storms starting by mid/late afternoon through the overnight hours tonight. The main severe weather risk will be from large hail and damaging winds with the stronger storms. 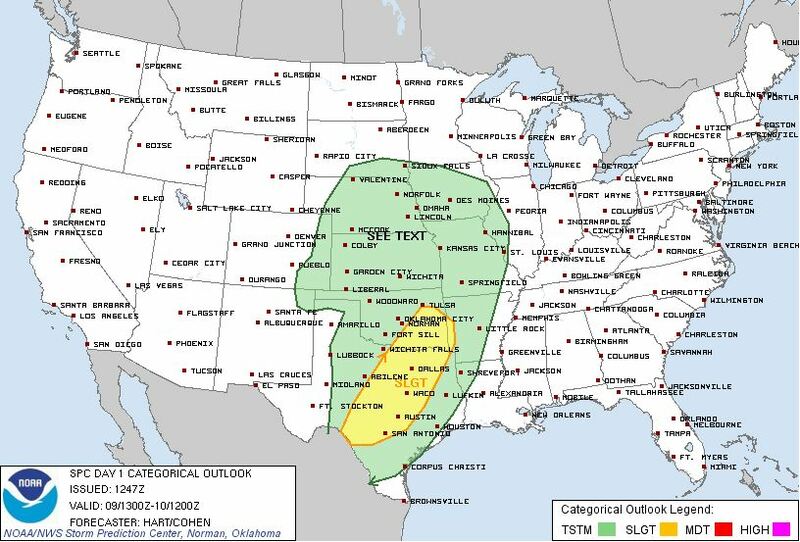 There is a low chance for an isolated tornado across all of the slight risk area this afternoon/evening. The tornado parameters are slightly higher, but still a low chance for an isolated tornado across north central Texas into south central Oklahoma.